Princess Tiara Silver & Cubic Zirconia Ring - PANDORA is rated 4.7 out of 5 by 440. Rated 1 out of 5 by Amanda4433555 from Not a good value I bought this a while back and it was $45 now because its popular they raised the price and did not improve upon the value. Disappointing. Rated 5 out of 5 by Icaseybarkley from Beautiful!! I’ve bought this ring about 1 week ago to spoil myself and it’s stunning. To be completely honest I thought it would be more thick due to the price, but it’s still amazing. I also am a size 11 but I got the ring in 10.5 it’s a little big. Maybe go a ring size down? Overall this ring is beautiful. 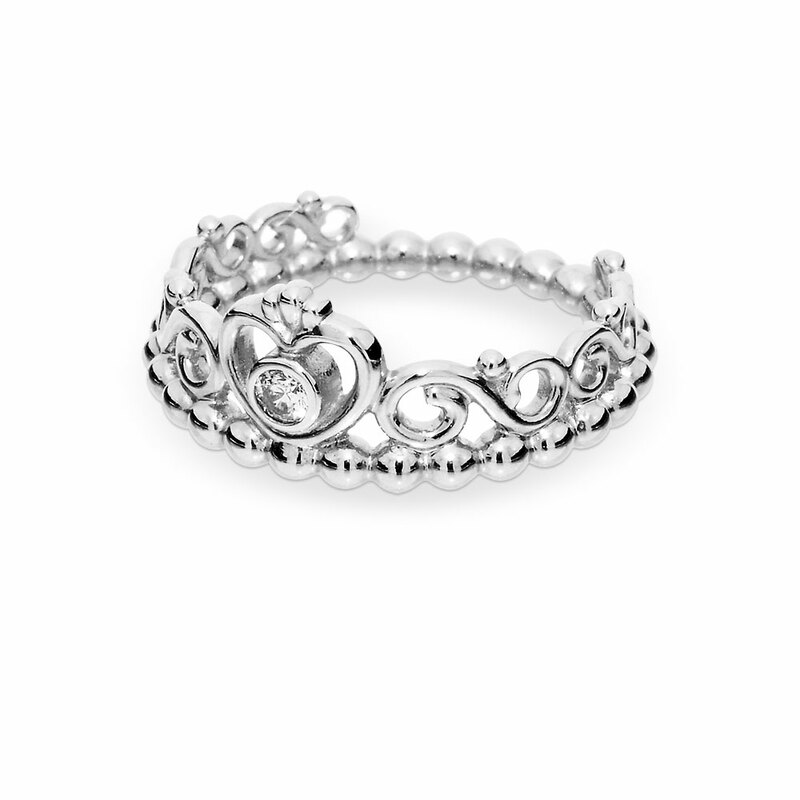 If you’re looking to spoil yourself or treat someone as a princess, then purchase this ring! Rated 5 out of 5 by CloeBeth1015 from Beautiful quality I received this as a purity ring last year on Christmas and it has held up beautifully, I wear it 24/7 and I've had no problems with it at all, still as sparkly as the day I got it! Rated 5 out of 5 by Pandora panda from I love it I got the a while ago and I love it I wear it everyday and nd it still looks brand new ! Rated 5 out of 5 by Kk12 from I’m happy I have had this for 2 years. I am very happy it still shines from the day I got it. Rated 5 out of 5 by Kyra707 from I love this ring!!! I bought the ring today at Disney Hollywood studios and I love it!!! It is absolutely beautiful! I got mine one size bigger than I normally am (I am a 7 and got an 8) The ring was $60 and with tax around $65. Rated 5 out of 5 by Chels151 from Gorgeous! I bought this as a present for my princess (daughter) for Christmas she loves it, everybody that seen it thought it was beautiful. Thank you.